This article was originally published as: Oliver, B. (1996). Adventist ministers in the making. Adventist Professional, 8(1), 30-33. This article is written in order to provide a sketch of the professional ministerial training program at Avondale College. Staff and Students of Avondale College may access the full text of this article from library PRIMO search here. Oliver, B. (1996). Adventist ministers in the making. 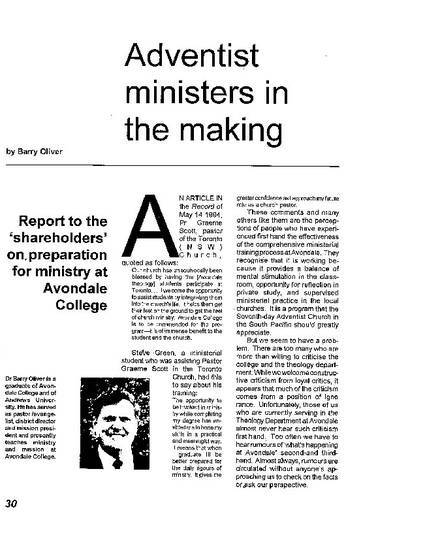 Adventist Professional, 8(1), 30-33.